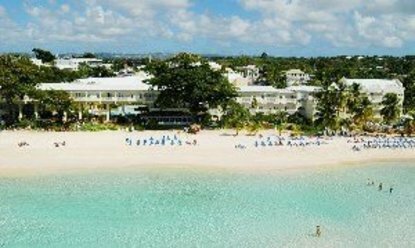 Amaryllis Beach Resort Barbados is located on a magnificent beach on the south coast of Barbados. By day, relax in the lush tropical gardens, swim in the pool or in the crystal clear sea water, take a stroll on the beach, play beach volleyball or let our friendly staff arrange an activity or tour. By night, indulge yourself with a sunset dinner, dance under the stars on a clear night and enjoy live entertainment, Caribbean style.